All humans hold the power of Consecration in their hands. Consecration has two basic purposes. The first is to set the tool or substance aside as something special. The second purpose is magickal! Every material object has a body on the other levels of existence, and just as the material object itself can be altered (carved, decorated, moistened etc.) without changing its identity, so also can its astral body be altered by human action. Before you use any tool or object for magickal purposes it must first be programmed to reflect your intent. You must consecrate or enchant it. Of course you could go ahead and grab a candle out of the package, light it, say a prayer and hope for the magick to work, or you could take the extra time to really infuse the candle with the power of your will and intention. 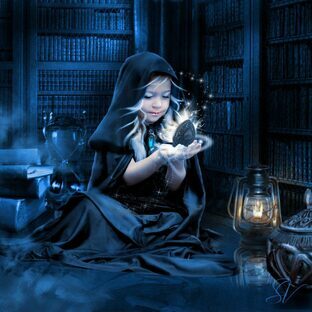 The more effort you put into your magick spells, the greater the liklihood of a successful outcome. Consecration sounds much more difficult than it actually is. Consecration simply means that you concentrate your thoughts, clearly visualize the purpose you intend and " send" the energy into the object. The important part of Consecration is to visualize. Concentrate on really seeing the light. Begin by clearing your mind and releasing all unwanted thoughts. Take a few moments to really bring yourself into the "now". Hold the object that you wish to Consecrate in both your hands. Imagine a ball of white light in your Heart Chakra. Focus on the idea of cleansing and purification, in this way you charge the light with cleansing power. Now imagine white light flowing from your Heart Chakra down through your arms. See this light flowing through your hands and into the object you are holding. Concentrate on removing all extraneous energies from the object and visualize it filling with golden yellow light (or whatever color light is appropriate to you and/or your purpose). Silently (or aloud) confirm: "I cleanse and purify this sacred tool". Continue to visualize the object pulsing with light, until it feels "clean". Silently (or aloud) confirm: "I Bless and Consecrate this sacred tool".